Standards for myocardial single-photon emission computed tomography (SPECT) adapted for a Japanese population were not available. The purpose of this study was to create standard files approved by the Japanese Society of Nuclear Medicine and to make known the characteristics of the myocardial perfusion pattern of this population. With the collaboration of nine hospitals, a total of 326 sets of exercise–rest myocardial perfusion images were accumulated from subjects with a low likelihood of cardiac diseases. The normal database included a 99mTc-MIBI/tetrofosmin myocardial perfusion study with 360° (n = 80) and 180° (n = 56) rotations, 201Tl study with 360° (n = 115) and 180° rotations (n = 54) and a dual-isotope study with 360° rotation (n = 27). The projection images were transferred by digital imaging and communications in medicine (DICOM) format and reconstructed and analyzed with polar maps. The projection data from multiple centers were successfully transferred to a common format for SPECT reconstruction. When the average values were analyzed using a 17-segment model, myocardial counts in the septal segment differed significantly between 180° and 360° rotation acquisitions. Regional differences were observed between men and women in the inferior and anterior regions. A tracer difference between 99mTc and 201Tl was also observed in some segments. The attenuation patterns differed significantly between subjects from the United States and those from Japan. Myocardial perfusion data that were specific for the Japanese population were generated. 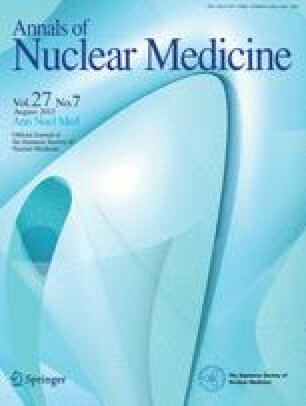 The normal database can serve a standard for nuclear cardiology work conducted in Japan. All author are members of the JSNM Working Group of Standardization of Myocardial SPECT in a Japanese Population.